Labor Day is upon us, and y’all know what that means: even though it’s still hot as a biscuit outside, pretty soon it’ll be cool enough for a walk in the park and we can hardly wait! With so many to chose from, how on earth can we pick a favorite? Hampton Park, Waterfront, Brittlebank, Washington...we love them all. The City of Charleston alone owns 120 parks; add to that the numerous county and state parks in the area, it’s pretty safe to say there’s a green space out there for everyone. (And with the help of the Charleston Parks Conservancy’s Park Angels, our parks are looking better than ever!) Another impressive park opened on the peninsula just this summer; but before we take a walk around Gadsdenboro Park, let’s revisit Charleston’s oldest and dearest. 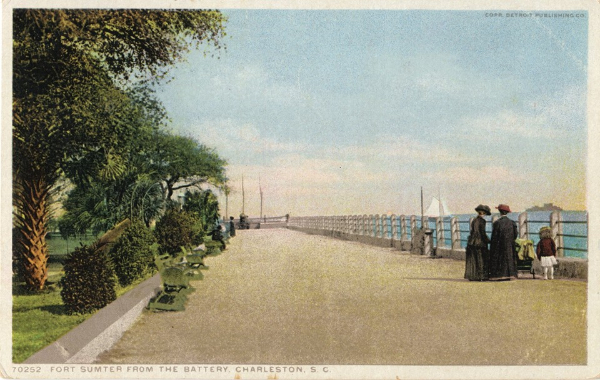 Variably called White Point Garden, White Point Gardens, or just The Battery (pronounced bat-tree), the seven-acre plot at the tip of the peninsula has always been one of Charleston’s favorite places to socialize, take a stroll, and feel the breeze off the ocean. It’s hard to imagine the expanse of white sand and oyster shells jutting out into the harbor that earned the area the moniker “Oyster Point” in 1670 or “White Point” as it was known by 1700. Although throughout much of the 18th century the area was occupied by fortifications, by at least 1818 it was used as a gathering place for socialization, according to Charleston historian Nic Butler. In 1837, under the direction of Mayor Robert Hayne, a “wharf” was constructed around White Point to create a city park and the name “White Point Garden” appeared in city records the following year. 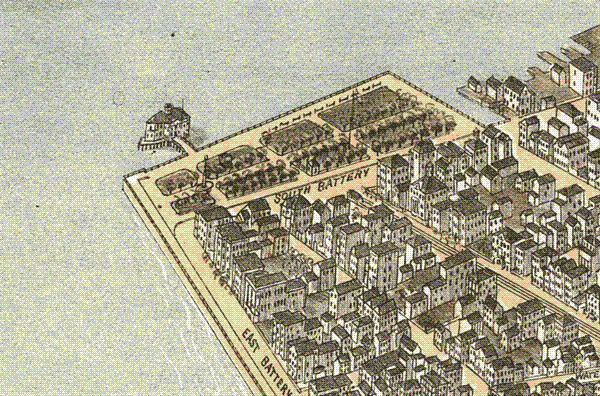 Between 1847 and 1852, the park was expanded to its current size and the stone wall around its eastern and southern perimeters was extended; the garden was widened seven feet southward in 1922 and a new seawall was built to accommodate the connection of Murray Boulevard to East Bay. 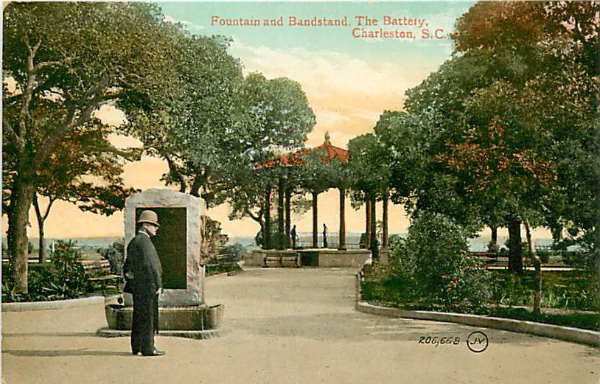 The first concert in the bandstand was held on June 28 of that year to celebrate Carolina Day, and the City continued to host weekly summer band concerts for many years. 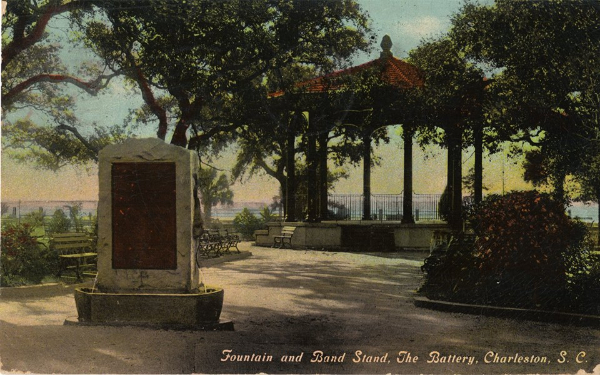 In 1934, the bandstand was raised three feet and restrooms were installed beneath it--do y’all remember those? At some point, law enforcement was unable to keep a tight control on activity in the area and the doors to the bathrooms were locked up tight. In 1978, the City outlawed band concerts at the Battery due to neighborhood complaints of noise, litter, and traffic congestion. In 1985, the bandstand was given an overhaul and a request was made to resume musical performances there, but it was denied. (Weddings are okay though.) Twenty-five years later, another restoration of the bandstand brought it back down to its former height--all the better to see the musicians play, right? But that was five years ago, and while there was some pretty vocal local support to revive the original purpose of the bandstand, there still hasn’t been a concert in the park. Do you think there ever will be again? We hear the concerts at the Battery were the bee’s knees back in the day--just ask Lois’ daddy; he used to sell boiled peanuts there! In June, the City opened its newest greenspace, where you’re not likely to see a concert band but you can do plenty else. 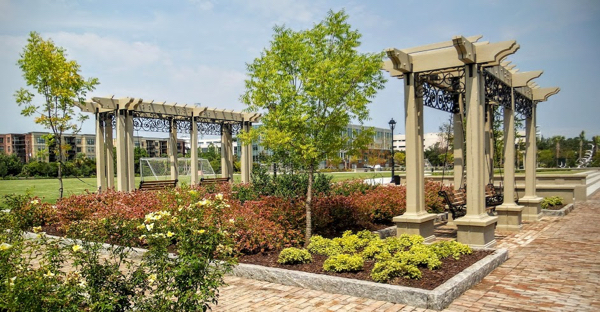 Located between Concord and Washington Streets just below Calhoun Street and the Aquarium, the long anticipated five acre Gadsdenboro Park contains two soccer fields surrounded by walkways, playgrounds, chess tables, a bocce court, fountain sculpture, and some incredibly comfortable benches hanging under pergolas. The breeze blows nicely off the Cooper River and the landscaping is beautiful; in time, trees surrounding the fields will offer generous shade. Wonder what this park’s first big event will be? Lois and Butler have been visiting this area quite a bit lately; Butler recently sold and Lois recently listed condominiums for sale near the park. Overlooking the park’s northwest side is the luxury condominium building at 33 Calhoun Street. 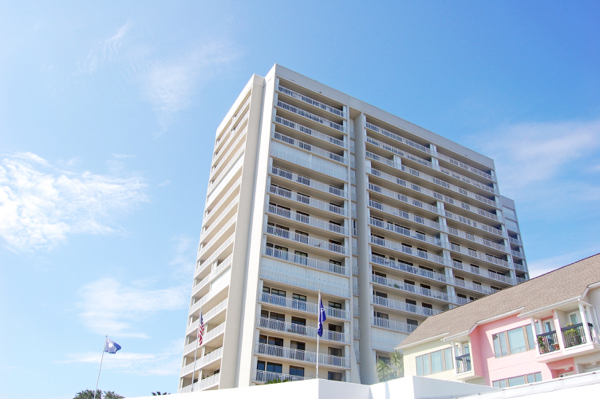 Lois has listed the one-bedroom Unit 123 for sale; click here for full listing details and call her at 843-270-2797 for a showing--you need to see this one! 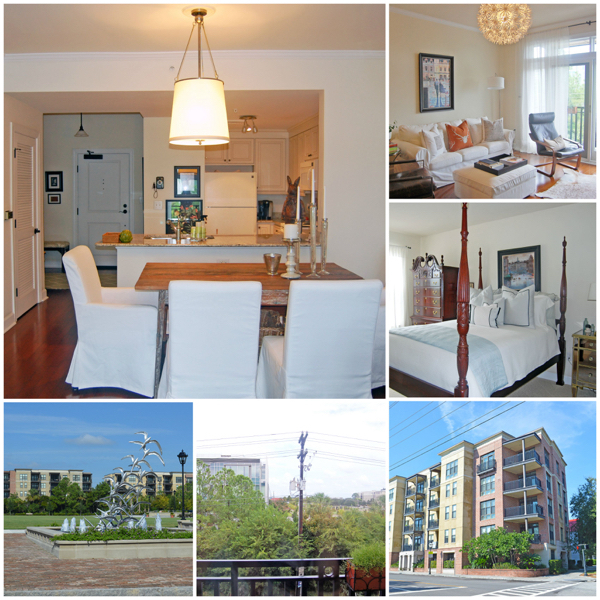 On the other side of Concord Street is the Dockside Condominiums, where Butler just assisted the buyers in acquiring unit 6-F. Congratulations to the new owners on their incredible harbor view! Butler’s gotten to know this area really well...give him a call at 843-714-4054 if you need some advice.